Homeowners living in areas that get moderate rainfall like Kansas City, need to be mindful that their homes still have the ability to get infiltrated by water, which can cause significant damage. Even if extreme weather doesn’t cause the destruction, normal accidents like leaking roofs, pipe bursts and ruptured hoses can cause all degrees of water damage. The IICRC certified water removal team makes sure that the customer is protected throughout the entire restoration process, from the actual demo to the logistics of the finances. 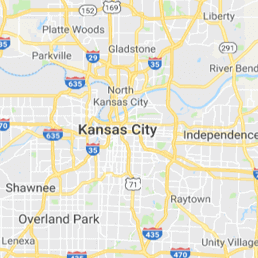 We want their customers to know that we are the main priority of 911 Restoration Kansas City Metro, so we make sure to nurture a trusting relationship with all the homeowners in the area. With over 35 years of experience in the home restoration industry, the Kansas City leakage remediation professionals know that they have both the gear and the training to remove all traces of moisture from the home. The Kansas City water damage technicians have extensive training with repairing water-related emergencies, and always make sure to act quickly when they are called to this kind of situation. In order to always respond as fast as possible, the Kansas City Metro offices are open around the clock, 24/7/365, where agents are standing by to get to the damage site within 45 minutes of your urgent call. Our Kansas City technicians want to protect your family and your home from water damage, so we use the latest water removal and drying technology. 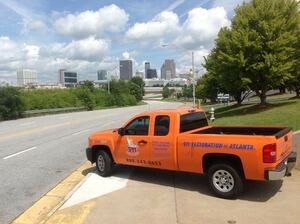 Not only can we save you from a flood or a leak, but we can clean up sewage overflows or mold and fungal infestations. 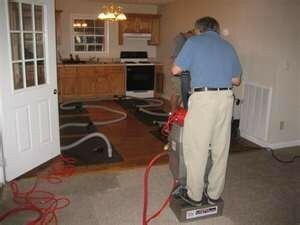 Our flood cleanup professionals are licensed, bonded and insured to get the job done correctly the first time around. We want you to feel safe when the Kansas City water damage remediation crews get to your property. Whatever it takes to make your home a happy, safe environment again, we will administer it. Our customers are our number one priority, and we will prove that to them in any way we can. Our Kansas City flood removal staff is proud of the professional relationships we have made with homeowners in the community. Our service agents are always available to answer their questions, doing whatever we can to put your mind at ease about the restoration process. To further show our customers how much we care, we condutct free water damage estimates, offer affordable prices and happily work with all major insurance companies. Call our flood damage Kansas City specialists when you discover a plumbing problem, that way we can begin pumping water from your property before any permanent damage occurs. We can’t wait to give you and your family a fresh start!